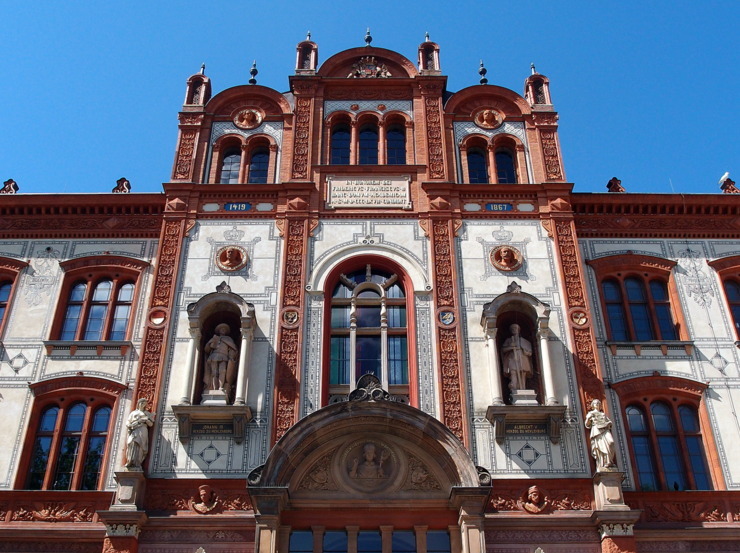 The university of music (Hochschule für Musik) was founded by Carl Muellerhartung, a pupil of composer Franz Liszt. 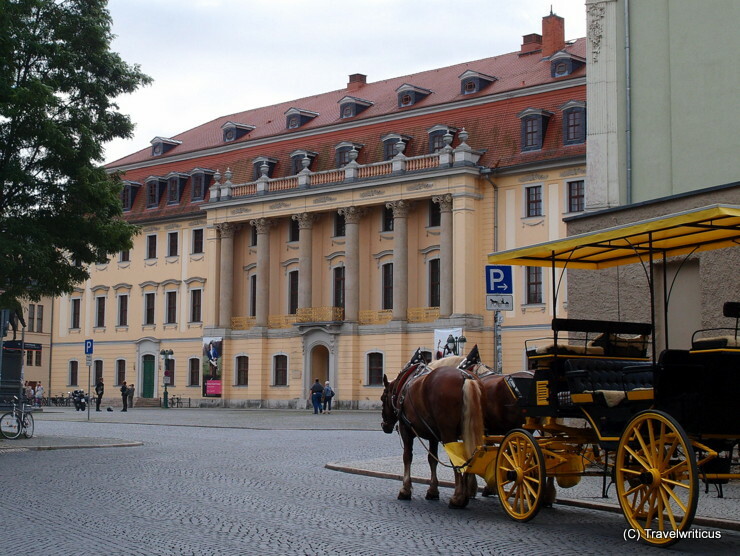 Liszt spent several years in Weimar, encouraging the founding of a school for the education of musicians in orchestral instruments. 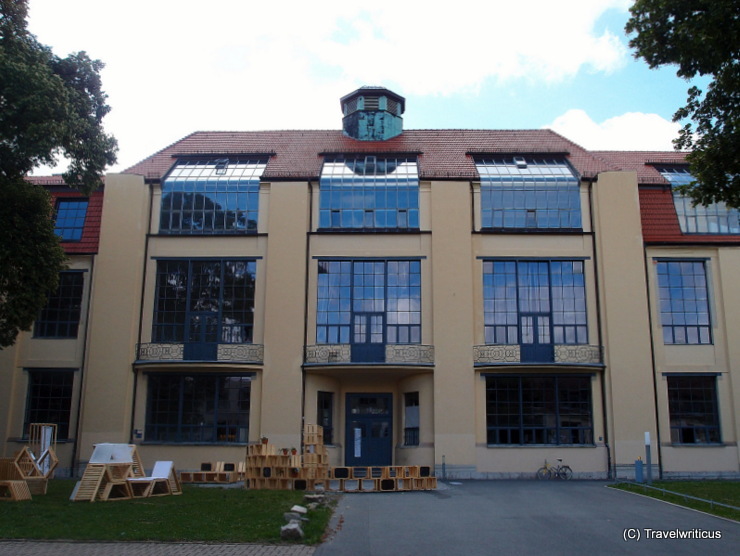 The main building Bauhaus University was designed by Henry van de Velde to house the studios of the sculptors at the Grand Ducal Saxon Art School. The edifice is part of the UNESCO World Heritage Site ‘Bauhaus and its sites in Weimar and Dessau’. In Germany many universities had one or more dentention rooms for punishing students. Their German name was Karzer. 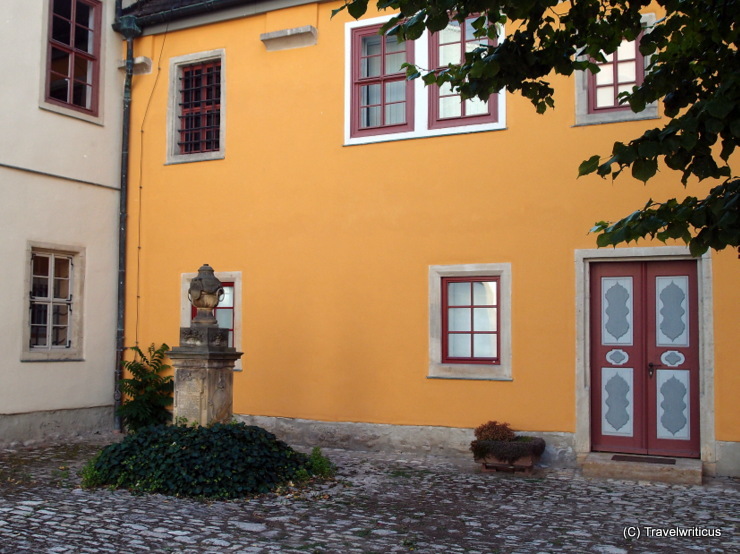 The Karzer of the university of Jena is located behind this cross-barred window depicted above.